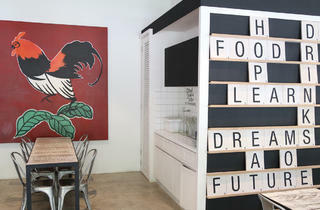 Here’s a café that’s giving back to society in a major way. 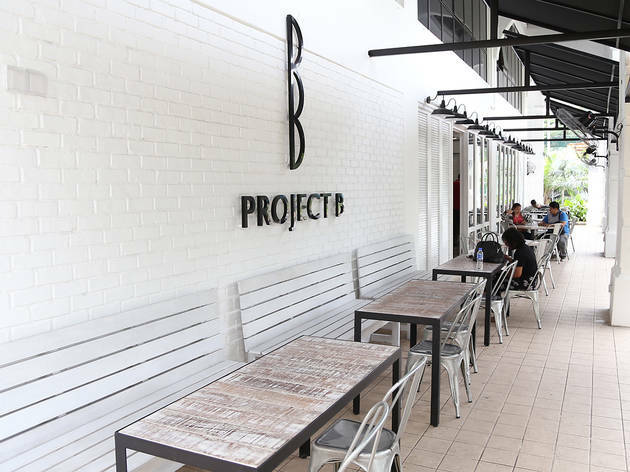 Introducing Project B – a social enterprise owned entirely by the Dignity For Children (DFC) foundation with support from Berjaya Cares Foundation and The BIG Group. 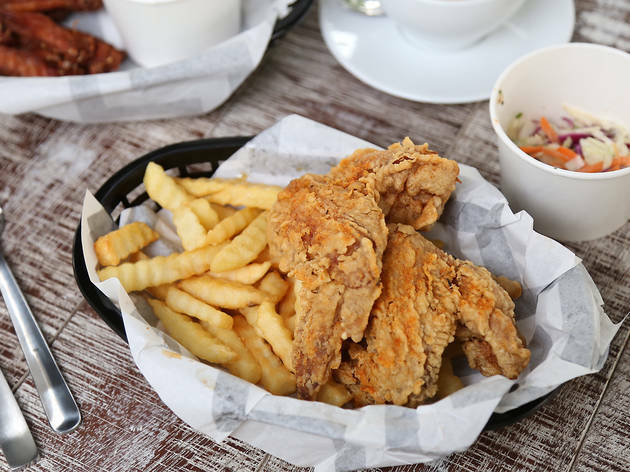 While the former helped secure the café’s location and assisted them financially, the café’s look and menu selection are all by the latter, which explains why Project B looks a lot like a BIG Group eatery with a huge rooster painting you can't miss. 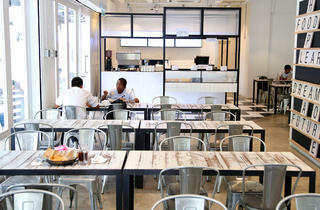 The café is based on a fast food concept but with fusion dishes. 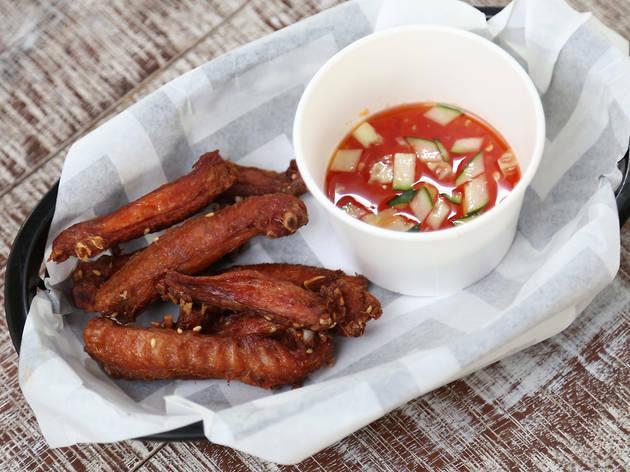 The menu will probably change on a quarterly basis but to start, they have introduced #ProjectFriedChicken with three flavours: hot and spicy, Korean-style sweet and sticky, and their signature crunch with buttermilk coating. 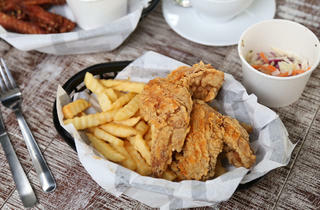 All of them are available in combos including with fries and nasi lemak. 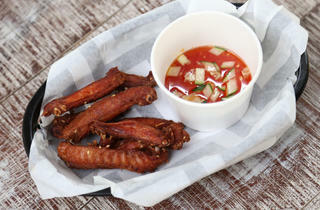 Other chicken-related highlights are the Thai-style chicken wings and Buffalo wings. 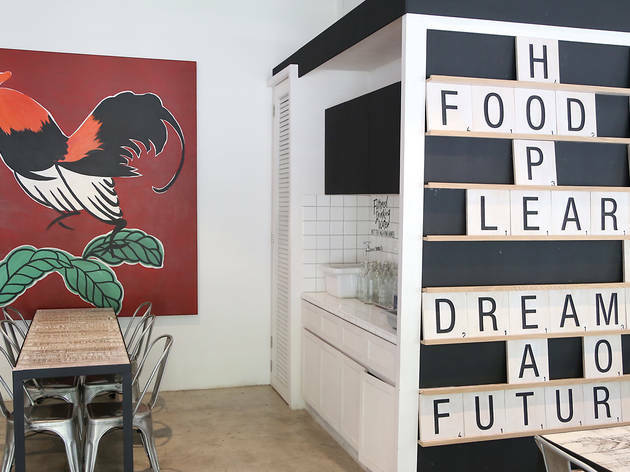 The place can get a little packed on weekdays as the office crowd swarms in during lunchtime but weekends are a little more relaxed, which makes it perfect for discussions, talks, small parties and other gatherings as Project B can also host events. 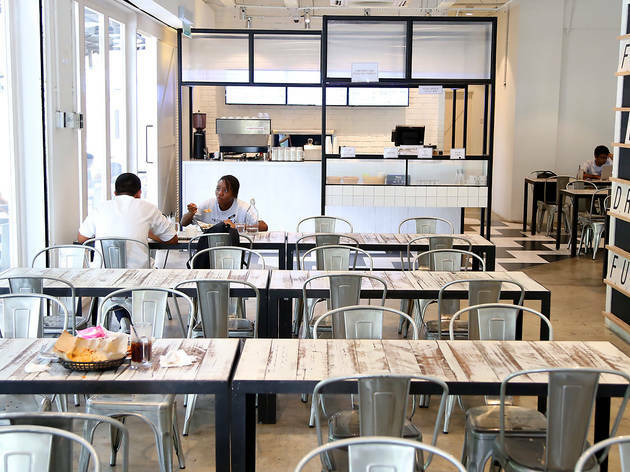 In the café, only two adults are in charge – the manager Vishnu and a chef – while the rest of the team is made up of kids, most of whom are between 16 to 18 years old. If you're wondering about its location, Sentul was the chosen spot because most of the DFC schools are located within the area. DFC aims to give quality education to underprivileged children by enrolling them in education programs and providing them with enough food, healthcare and other needs in order to break the cycle of poverty. 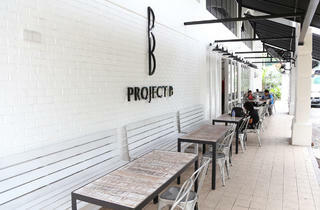 With Project B, the kids get vocational training and an introduction to the F&B world. All profits from the café go back to the foundation and the kids get incentives by the hour as well.